Pacing yourself is very important. It’s everything when running a race, when doing a big project for work and can also be important when you’re remodeling your backyard space. What is your dream for your backyard? Close your eyes for a couple minutes and concentrate on all the things you want that space to do for your family and what it might look like. 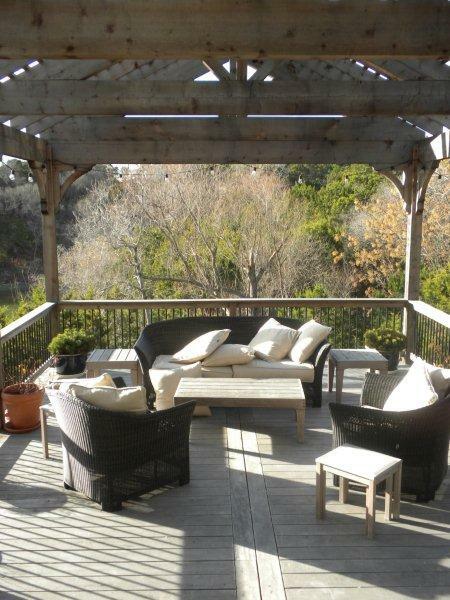 Think about the landscaping, the furniture and whether the furniture sits on a deck or hardscape patio. Does your dream backyard include a spa or a pool? 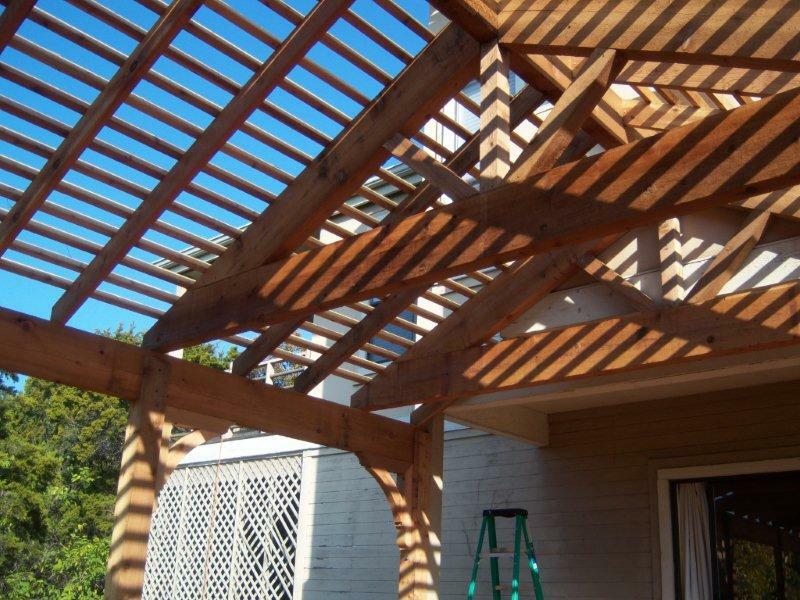 Do you need more shade like a pergola or covered porch? Do you need space to cook and entertain guests? As a practical person, I too have a tough time with this question. As soon as I start envisioning the dream, the other side of my brain starts nagging at me to tone it down and be realistic. This mental tug-a-war can actually stop you from making progress toward the dream for years. It doesn’t hurt to envision the perfect backyard oasis. Mine would definitely include an outdoor fire pit with lots of room around it for many Adirondack chairs to sit in the evening with friends or family and enjoy hot chocolate in the colder months and an iced cocktail in the warmer months. That’s the thing about fire pits. They have a romanticism and mystique about them. After capturing the dream, and if the dream is more than you can afford, then consider pacing the development of your dream backyard. A lot of my customers don’t realize that we actually can build outdoor living spaces in phases. For example, we can build a deck and go back a year later to add a patio. Maybe the ultimate plan has a outdoor kitchen on a wider section of the patio. You now have the opportunity to lay out the electrical and gas line for the kitchen under the patio, build the patio now, but hold off on the cost of the kitchen until next year. We do this with a number of our customers. After several years they look up and realize that their dream has been realized. Phased development makes a lot of sense for a lot of people. The picture of the project you see above represents an addition to a multi-level deck. We build the top level and the mid level already. Now the customer is ready to add a spa deck so we are going back to add the 3rd tier of the deck which will include the spa. It’s been a couple years and the family loves their deck and spends so much time out there that they want to add more “rooms” if you will to their deck. You can see based on the furniture that the family really lives on their deck. The advancements in outdoor furniture and fabrics even allow comfy couches and plush pillows that can survive year-round outdoors. Here is another picture of the unique gable pergola we built for above their main deck. Adding a gable to your pergola is a great way to enjoy the benefits of a pergola by add a little more design flair to it to complete an outdoor room area. So, if you have the vision of your backyard dream in mind but want to talk to us about building it in phases, give us a ring. This entry was posted on February 15, 2011 by austinporchandpatio. It was filed under 3-story decks, Austin decks, Decks, Multi-level decks and was tagged with Archadeck of Austin, Austin 3-level deck, Austin 3-level spa deck, Austin deck builder, Austin decks, Austin elevated deck, Austin spa deck, Austin tiger wood decks.